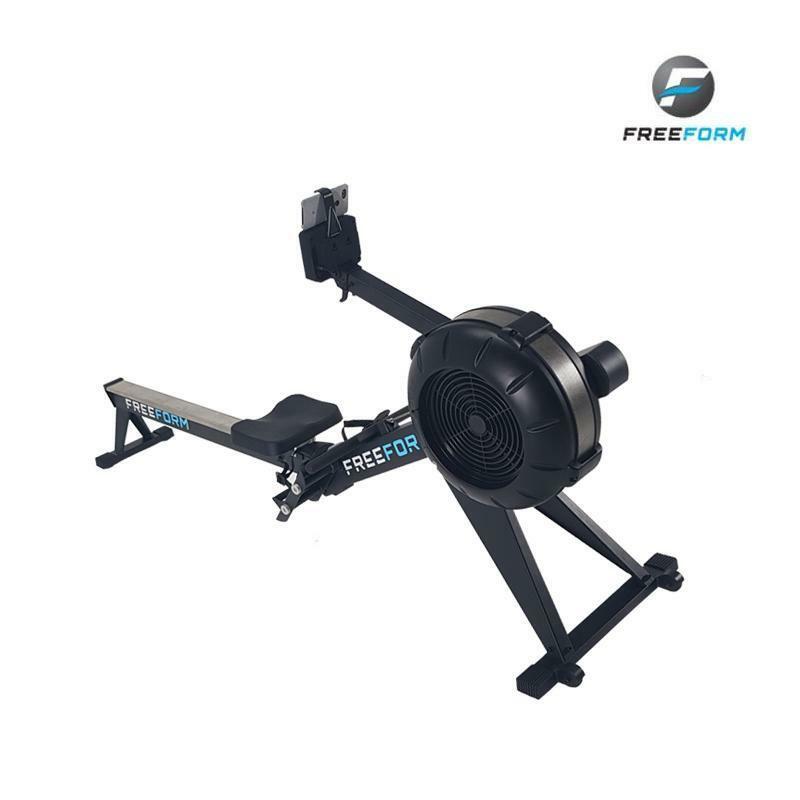 The Freeform R2000 Rowing Machine is full COMMERCIAL GRADE STANDARD. 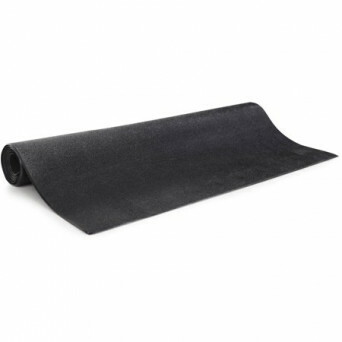 Only the highest quality components have been used to handle frequent high intensity usage. 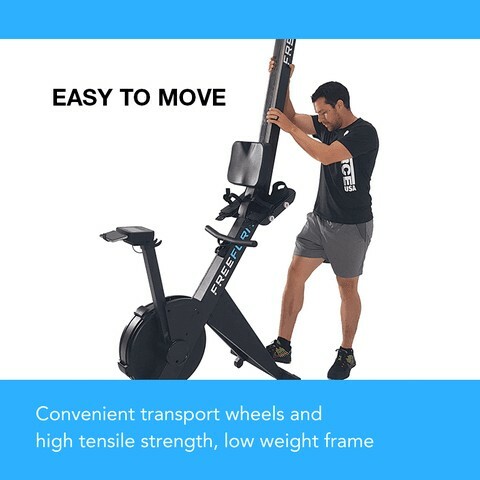 Suitable for high performance training centres, sporting clubs and associations, fitness centres or the ultimate in home gym equipment. Console Elite Performance Monitor. Stroke, time, distance, cycle, calories, watts, paddle width. 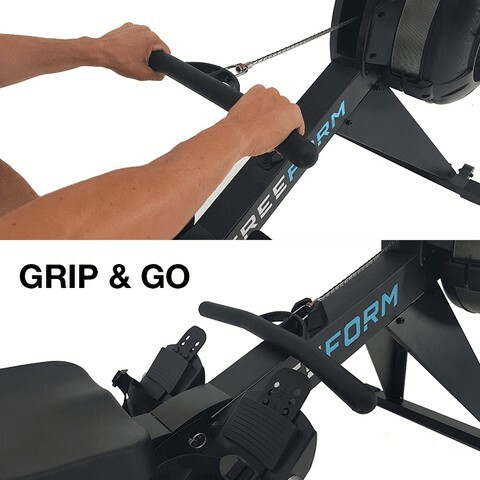 Handle 28mm diameter, ergonomic, EcoCoat-Grip coating non slip, easy reach holder..
5 stars, love my rowing machine. 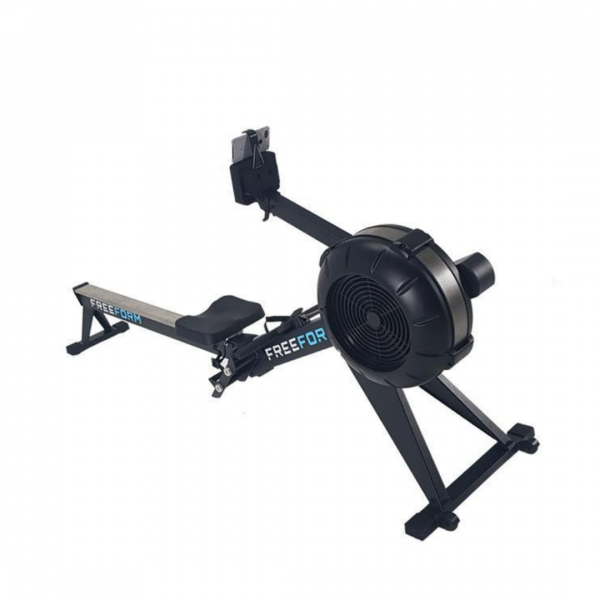 Happy with my rower, quick delivery and the quality is better than the one in the virgin gym. 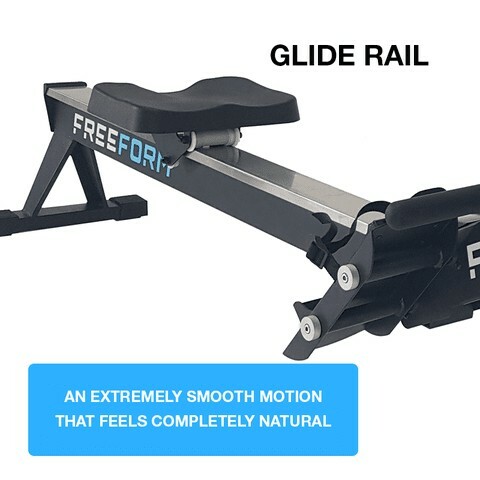 Very happy with the Rowing Machine. Free delivery even though I live remote. Easy set up. 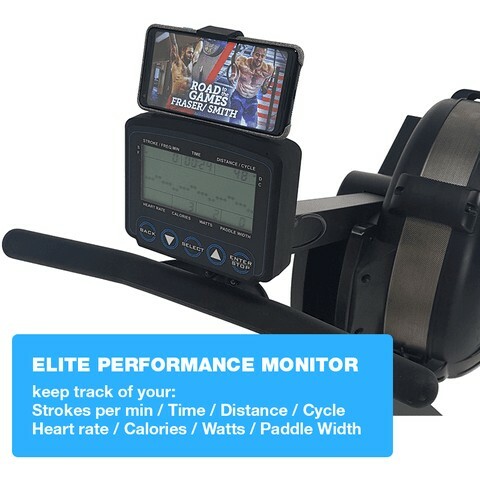 Great rower, i like the extra features and the console gives the feedback that I need to train with. Highly recommend. Very, very nice machine. Good value for money. How loud is this rower? Will I wake up the neighbours? Most gym machines make some sort of sound when you use them. This is a flywheel airflow air driven resistance system so the sound would be similar to large fan. The rest of the moving parts such as the nickel chain and sliding seat are exceptionally quiet. Why not take a look at the video on our product page and hear it for yourself? 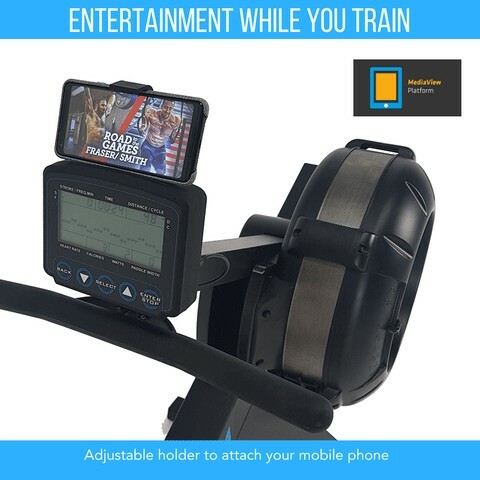 Does this rowing machine need an external power supply? 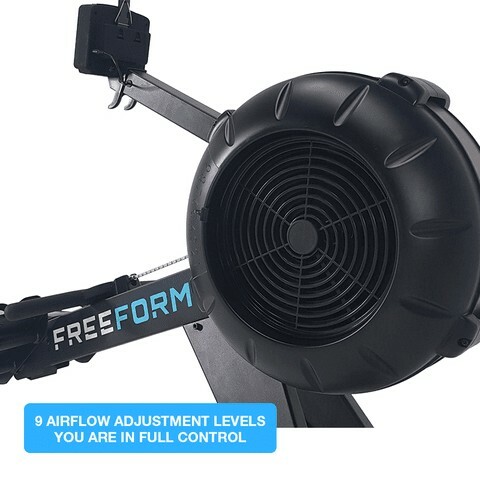 No, the resistance is generated by the air mechanism as you row. The computerised monitor requires a couple of batteries. 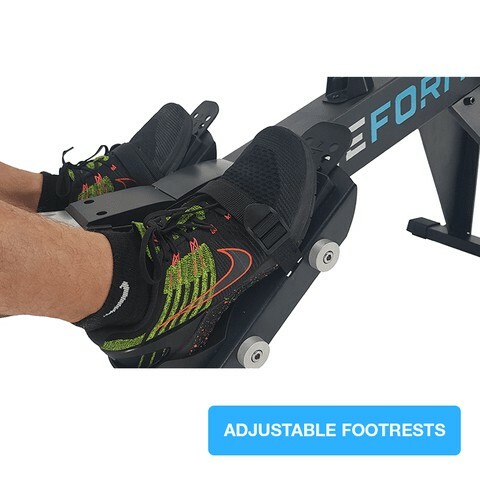 But the spindal on the rower generates power to pro-long the lifespan of the baterries.